Outlook is a Microsoft product well known as Microsoft Outlook. It is used for many services but mostly used for emails. It has other services for managing- task manager, calendar, contact manager, and many more. When you have too many account, you may get forgot your password of some accounts. You can recover your accounts by resetting password with few processes.The steps involved to Reset Outlook Password are mentioned below. First, you need to open your browser in your PC. There you need to open google. In google, you need to search for Outlook and you will get the result very fast with different links. You can click on this link https://outlook.live.com/owa/ to open the outlook’s home page. You can go to sign in page from there. Or you can click on this link https://login.live.com/login.srf to open the login page. There you need to enter your Email address or Skype. And click on “Next” button. At next step you will ask to input your password. There you can click on “Forgot my password” at bottom of tab to enter he reset page. Or you can click on this https://account.live.com/ResetPassword.aspx link to open the same reset page. In that page, you need to click on an option that you are facing problem. You can choose the “I forgot my password” and click on the next button at below the options. In next step, you again need to enter your email address or phone number. After entering that, you also need to enter the given text below that. After that, you need to click on Next. In next step, you need to choose the option for verifying your identity. You can choose the option to send the security code to the email address. After that a box will appear where you need to complete the email address which is your recovery email. And then you need to click on “Send code” button. Then you need to check your recovery email address, to see the security code and type the security code in the process. You need to check the link and copy the security code and paste in the process. After that, you will get to reset your password. You can choose a new strong password. The new password should be strong enough that others can’t guess and you should not forgot. You need to enter your new password twice. Second time you enter, it will be for verification. After entering the password, you need to click on next and in next page, you will get a message that you have changed your password. There you need to click on next. After that you will again need to sign in. there you need to enter your email address or phone number then click on next and you need to enter your password in the next step. After that you will be logged in. You also need to sign out before leaving the device or lending to others. 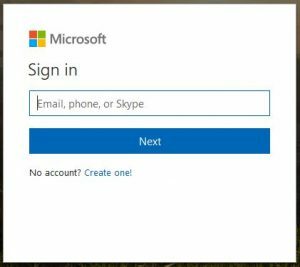 This entry was posted in Account Reset Password and tagged How to reset Outlook password, Microsoft Outlook, outlook, outlook password, recover outlook password, reset outlook password on February 16, 2018 by jcgbyHvNvn. Thank you for your precious comment. Keep visiting our site. this. I feel you made some good points in features also. Thank You for your valuable comment. Please visit our site again. Thank you for your valuable comment. Do visit our website again. Thanks. was searching for 😀 too saved to my bookmarks. whenever a new post has been made. I’ve subscribed to your RSS feed which must do the trick! Outlook is the mailing service. If you forgot the login password, then you may follow the steps mentioned here to recover back your account.